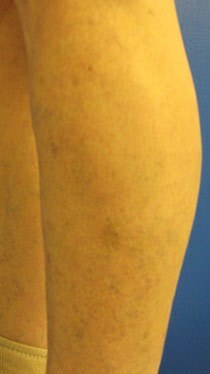 This form of therapy utilizes real time ultrasound guidance during sclerotherapy (injection of a chemical irritant) to treat abnormal veins that are below the skin and may not be seen but are a source of blood flow to the abnormal veins on your skin. 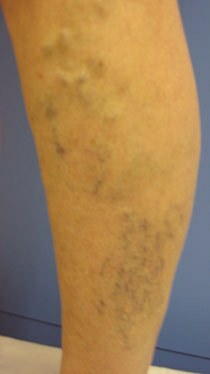 In the past, these veins may have required surgical stripping to remove. The doctor uses continuous ultrasound guidance to find the abnormal vein under your skin and safely injects the sclerosing agent directly into the vein, avoiding complications. As you can imagine, this requires extensive training and expertise. Our physicians are board certified in ultrasound guided procedures by the American Board of Radiology and perform ultrasound guided procedures on a daily basis. Each session lasts no more than 20-25 minutes and most people require only one session. After the procedure, you will be fitted with a compression stocking which you will need to wear for the next 10 days. Generally, normal daily activities can be immediately resumed after your procedure though you should avoid strenuous exercise for a week.